We already parked at the Norwegian Folklore Museum on the museum island in Oslo last night, to be able to start our second day museum marathon as early as possible. Unfortunately the museum doesn’t open until 10am so we feel a little rushed as we have planned up to 4 museums for today. I didn’t really know what to expect before entering the museum. I thought we might see some traditional Norwegian clothes and furniture but just like yesterday my expectations are being exceeded by far! Not just the content but the sheer size of it! 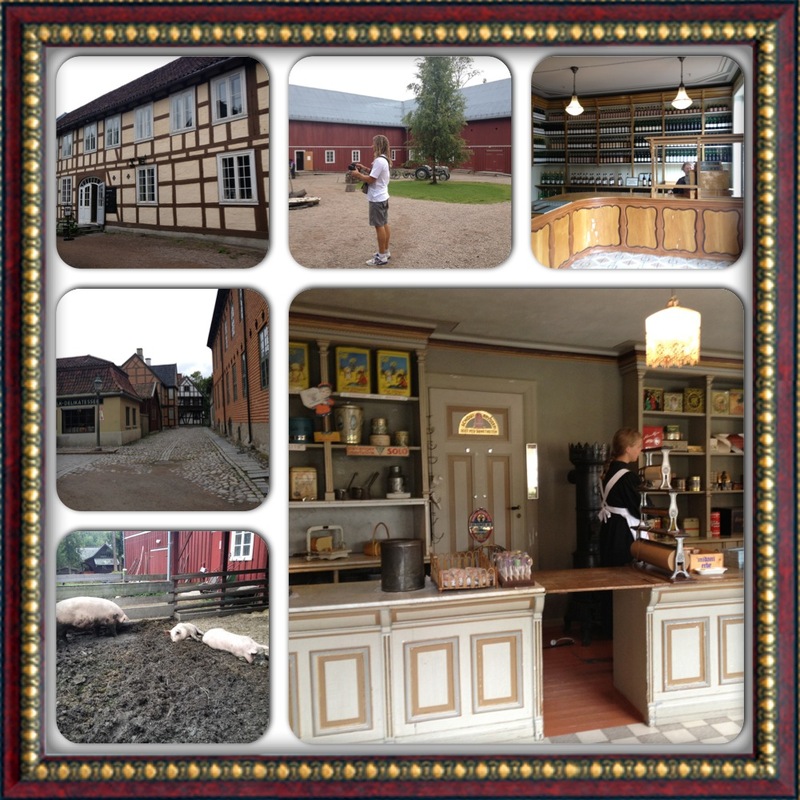 You can easily spend all day here, it is more like a museums village! We randomly start at the children’s section. 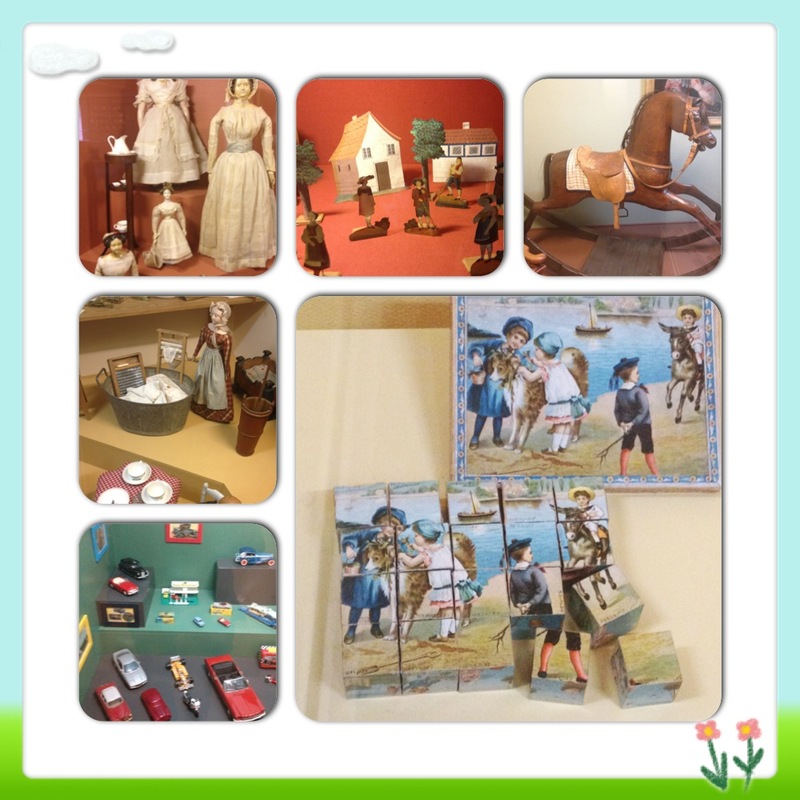 Various toys are displayed here cutting right through Norwegian history. I personally remember most of these toys myself, as I grew up in Germany, not far from Norway. The next section is an exhibition showing some features of daily life in Sami communities with emphasis on hunting, fishing and farming, as well as reindeer pastoralism. 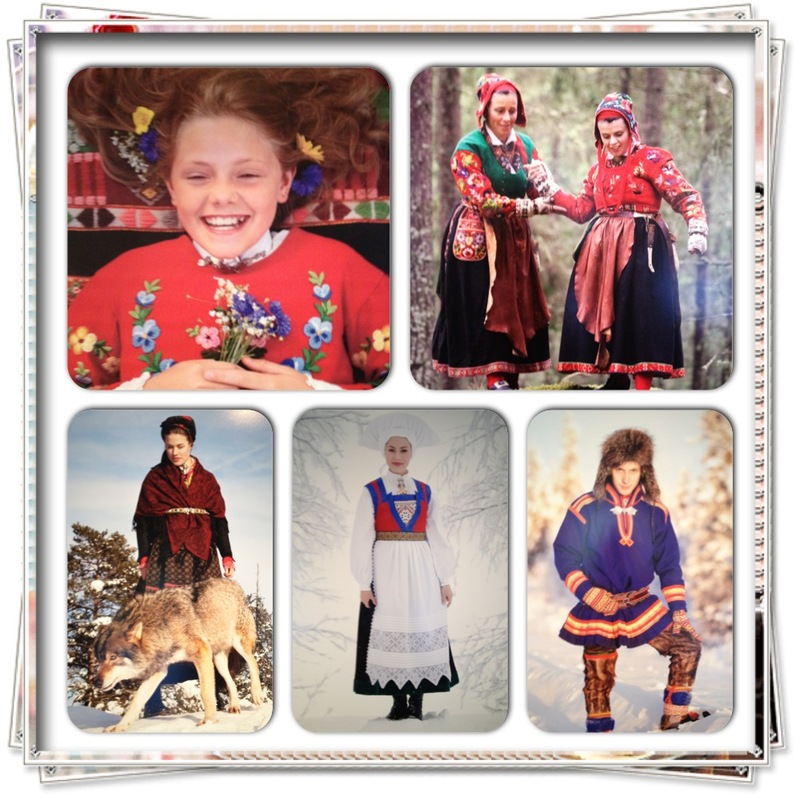 The Sami live in four countries: Norway, Sweden, Finland and Russia. 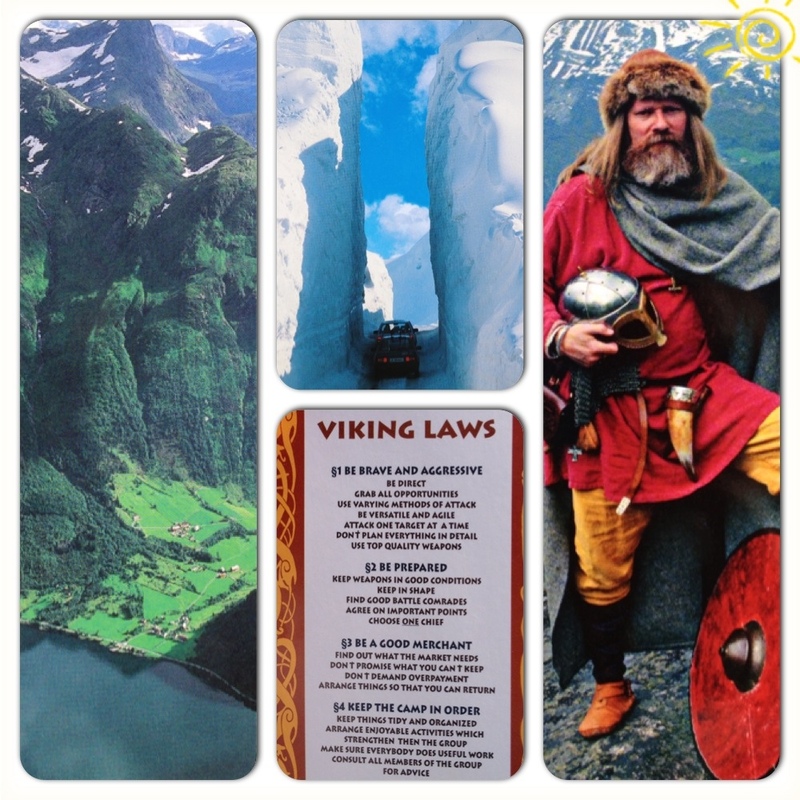 The state of Norway was founded on the territory of two peoples: The Norwegian and the Sami. There may be around 70.000 Sami, about 40.000 live in Norway. Sami languages belong to the Ural-Altaic family of languages, like Finnish, Estonian and Hungarian, whereas Norwegian belongs to the Indo-European languages like English, German and Russian. Norway has recognised the Sami as an indigenous people. The Sami had come to Norway long after the ancestors of the Norwegians. The answer to the question of where the Sami come from, can only be speculated. Sami identity has probably evolved gradually over a long time span in the areas where the Sami have lived in historical times. The Finno-Ugric language heritage certainly suggests that they had slowly migrated from the east or south-east. A large costume collection reflects the diversity of Sami culture. While the exhibition doesn’t attempt to tell the history of the Sami, some important historical events have been included, such as the carving up of the Samiland between the states or the devastation of the Second World War. A new part made in 2007 also describes recent development in politics, culture and society. Before radios came into common use, many Sami children hardly knew a word of Norwegian when they started school. In the schools only Norwegian language was to be used. Many Sami children spent years before they could understand what the teacher said. From the 1950s Sami language was gradually introduced in some schools. Lack of textbooks and skilled teachers remained a hindrance for the use of Sami language in schools. 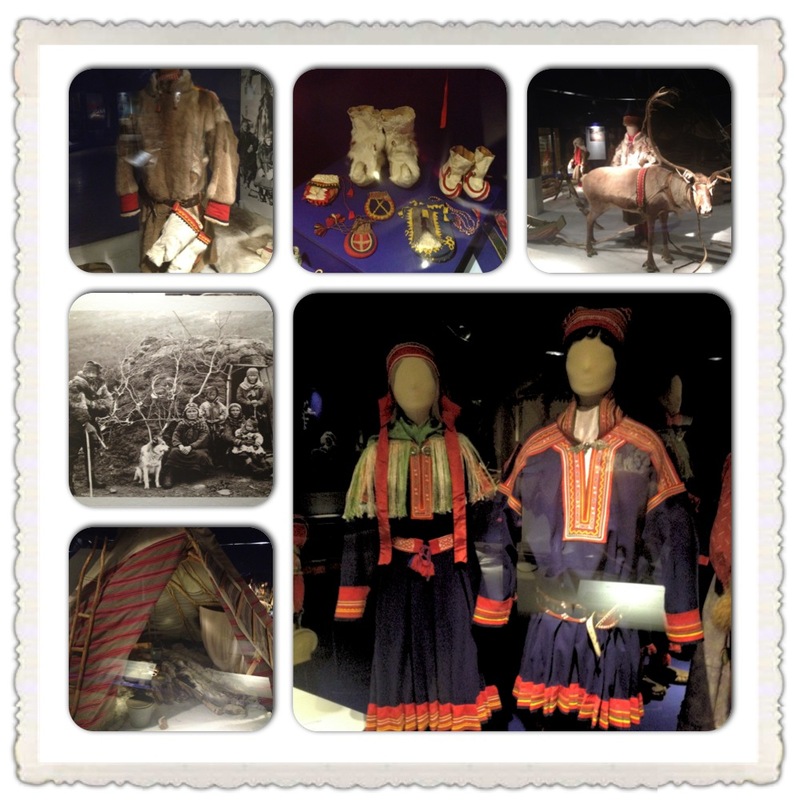 Originally hunting and gathering was the way of living for the Sami people. They moved in a yearly cycle between various dwelling-sites according to what resources were available in the different seasons. In spring they would fish for cod in the fjord, gather eggs and down of seabirds. In summer they fished for salmon in the river, gathered berries and cut shoe-grass. 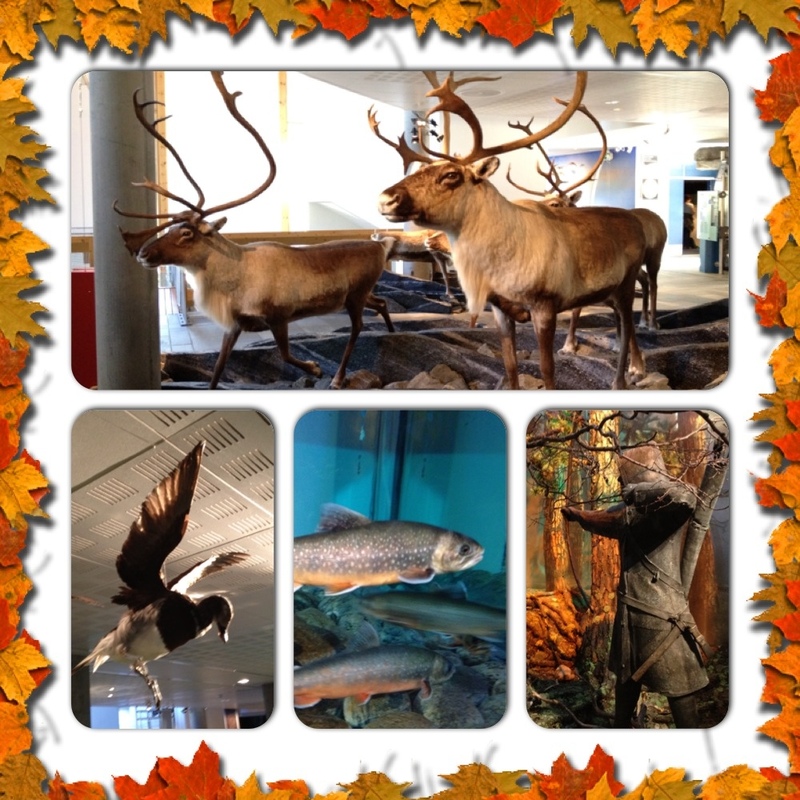 In autumn they hunted wild reindeer and fowl and fished in rivers and lakes. In winter they trapped fur animals and grouse, and went ice fishing on frozen lakes. Until the second World War they lived in turf and wooden huts or in tents. Annual markets were important events to sell hides and furs, meat and fish for money or in exchange for goods such as flour, sugar, salt, cloth and utensils. Market days were also occasions to meet friends and to exchange news. Events from outside changed life of the East Sami. In 1826 their land was divided between Norway and Russia, which then included Finland. The Neiden Sami became Norwegian citizens but their autumn and winter sites had become Finnish territory. Norwegian and Finnish colonists moved in and the population grew. The Sami became a small and almost invisible minority. Further east too, things went bad for the Sami. In the Soviet Union they were forced to move from their old areas. During the wars between Finland and the Soviet Union 1939-1944, the core areas of the East Sami became a battleground and Finland had to cede them to the Soviet Union. The Sami had to flee. An ancient way of living came to an end. Today the Sami are torn between two worlds. Many have moved to the bigger cities and some have consciously put their Sami history behind them, as they have painful memories of the times when Sami identity was looked down upon and ridiculed. There are several thousand Sami living in Oslo today but only few choose Sami education for their children. Others still show their Sami background by wearing traditional Sami costumes on feast days and there is also a Sami house in Oslo (Akersgata 34) where Sami and those who are interested in Sami culture can drop by for a cup coffee and a chat on Saturdays. We continue on to the outside area of the museum. Here you can try and catch a wooden reindeer with a lasso and have a look at Sami huts and tents. Now we realise that the museum has built a whole village with replicas of houses, sheds, gardens and farms including animals such as horses, pigs, cows, sheep and chicken. The village is sectioned into Norwegian areas such as the Telemark, Ostland or the Hallingdal valley and cover a time span between the 16th and 20th century. 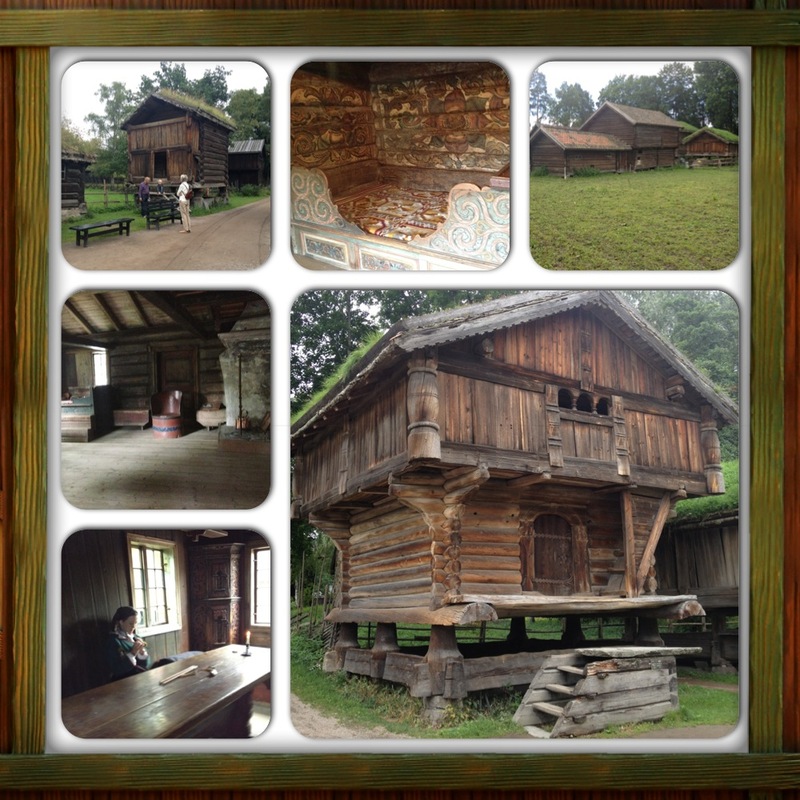 Inside the old wooden houses there is no electricity and the small windows only let little light inside. The more modern farm houses and shops in the Ostland had electricity. The first lightbulb in Norway was lit in Fredrikstad, Ostfold in 1897. The museum also shows a collection of Norwegian folk art up to the middle of the 1800s, when the tradition was strong and vibrant. It was in around 1870, when the decorated articles farmers used in their everyday lives, began to be identified as “art”. 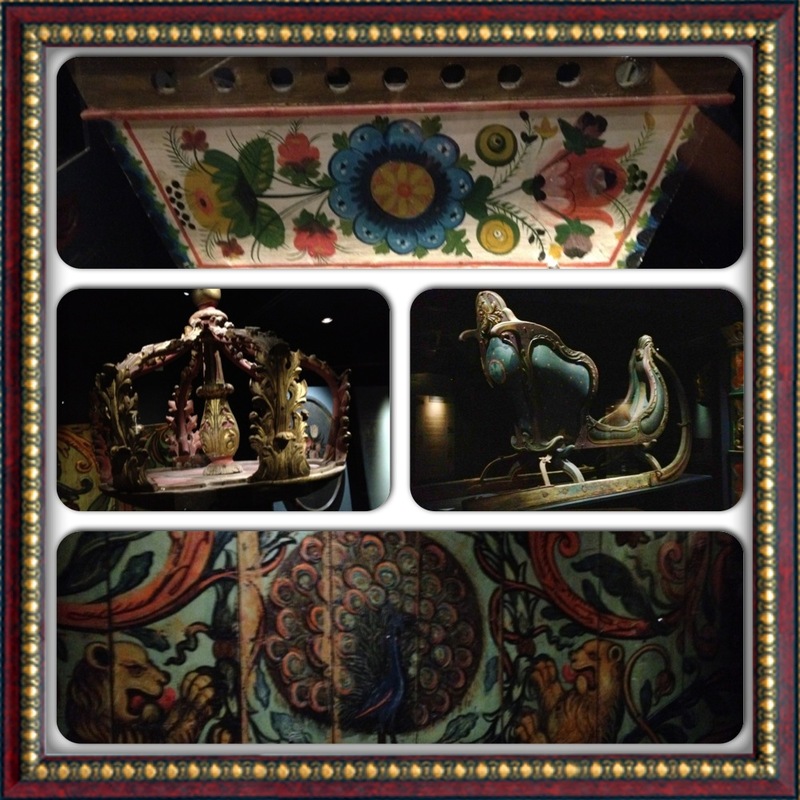 The exuberant decoration – colourful rosemaling, robust wood carving and richly detailed woven textiles – was given the name “folk art”. This was a new concept along with folk poetry and folk music and was useful in building a cultural identity for the new nation. 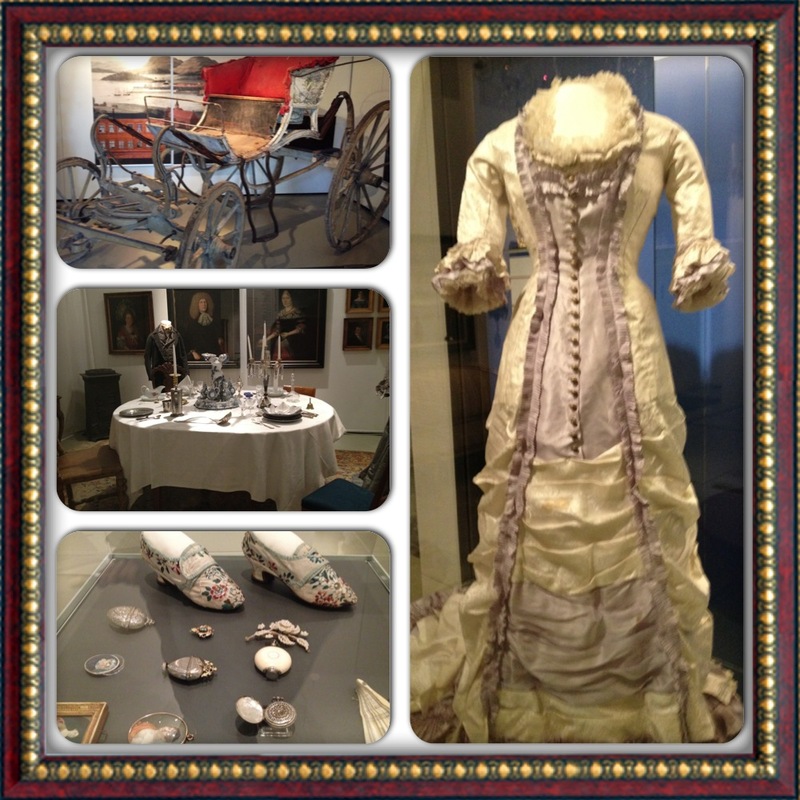 The exhibition also displays work from the period of 1850 to 1920, which in many ways represented a break in tradition and reflects trends that are still apparent today. After three hours in the Norwegian Folklore Museum, we rush to the next museum, only to realise days after, that we still have missed parts of the museum. As I already mentioned, you can easily spend a whole day here, exploring most, if not all, aspects of Norwegian life since 1500. 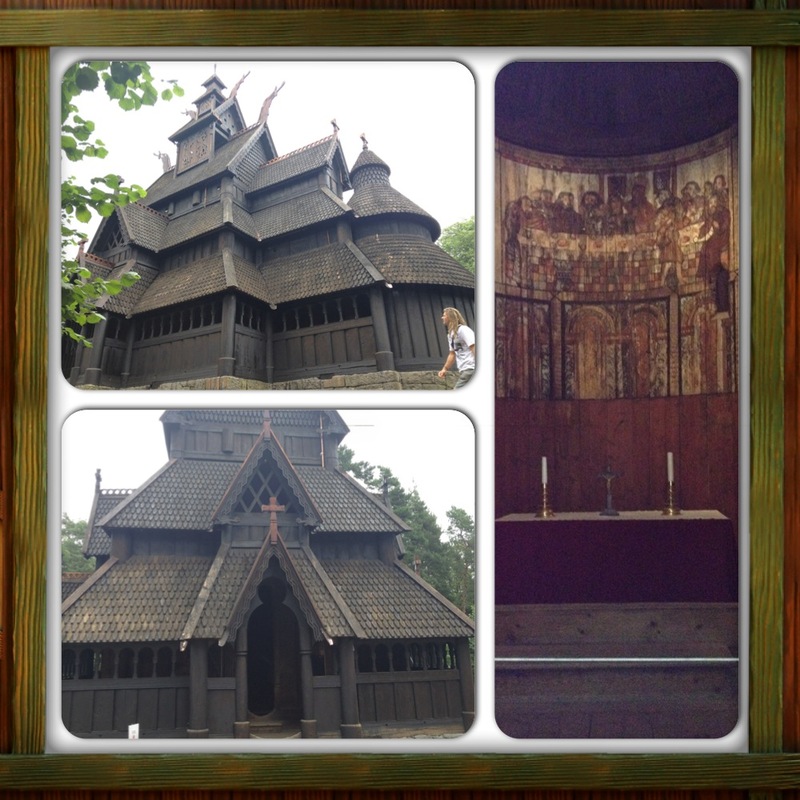 Without the Oslo Pass, this museum is 100NOK. 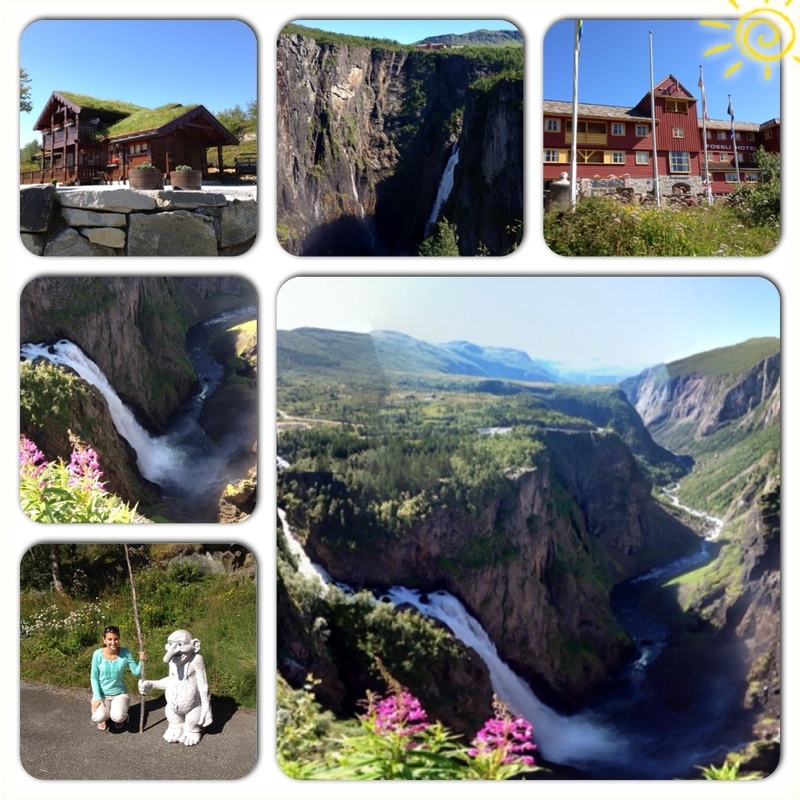 Another popular hike is the one to the Trolltunga or troll’s tongue north east of Odda. As this hike is supposed to take 8-10 hours return and we have already done 3 walks together (one of them to Kjeragbolten took 5-6 hours and I was totally shattered after that one!) I decided to let Logan go to Trolltunga by himself. This way I wouldn’t hold him up and he could go his speed. I meanwhile washed all the clothes again we had in the washing machine in town yesterday and didn’t get clean (oh what fun). So while I’m busy boiling up water, soaking clothes, washing, scrubbing, soaking, hanging out clothes and start all over again, Logan is racing up and down the mountains between Folgefonna and Hardangervidda National Park. About 4 hours later I hear a voice behind me: “Ah washing clothes, are you? !” LOGAN?!?!? I was surprised but I wasn’t. I thought he might take about 6 hours, with 4 he surprised even me a bit! So here you see why I can’t keep up with him!!! 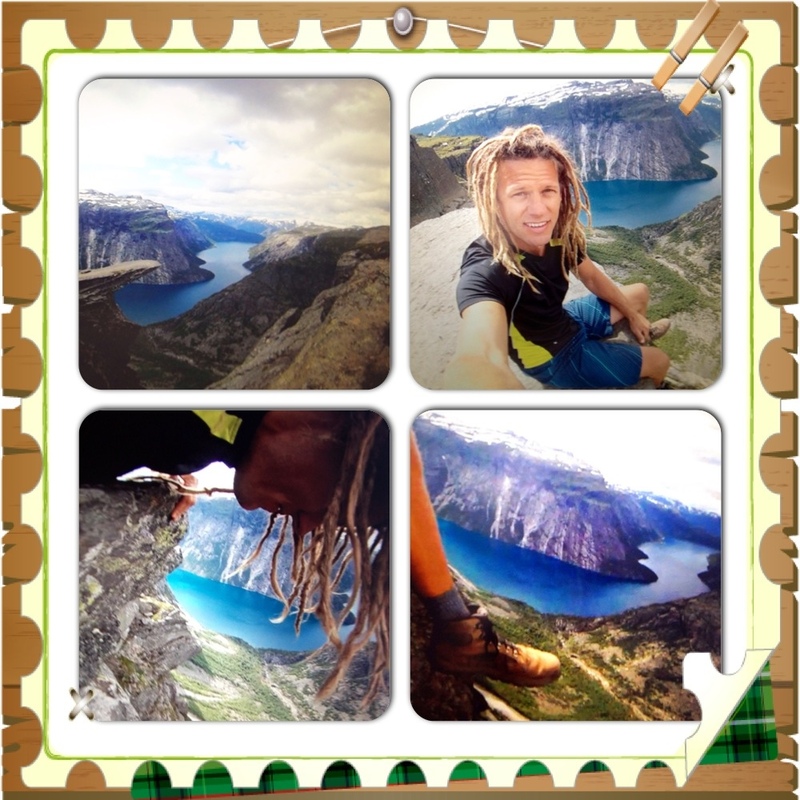 He said the Germans who left before him, came his way half an hour after he reached the Trolltunga! So they were WAY behind. There’s a free toilet and warm shower provided at the car park which we make use of before leaving and driving on to Eidfjord. Actually going to Eidfjord wasn’t exactly the plan. We are planning on catching the ferry from a place called Brimnes, before Eidfjord but we didn’t have any cash on us and had no idea whether the ferry accepts credit cards. Just in case we keep on driving to get cash out in the next town which happens to be an absolutely beautiful little haven called Eidfjord! 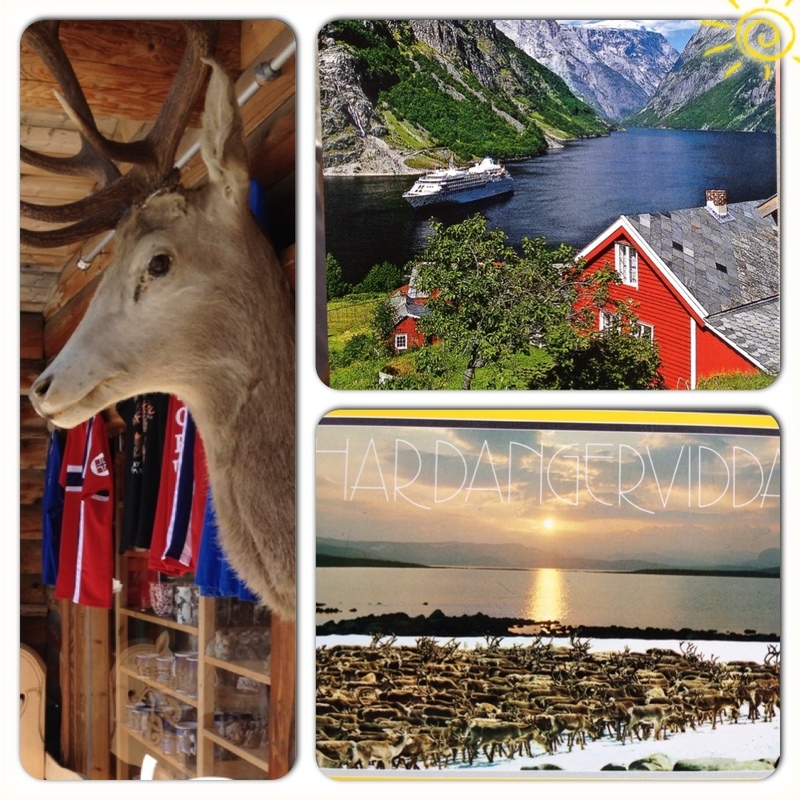 A large cruise ship, the AIDA, has docked here and after getting out some cash, we decide to stay the night here – right at the Hardangerfjord, in a no mobile home zone! Well seriously, the sign is so tiny that we see it much later when we had already hung out all the clothes in the sun to dry. We didn’t move anymore and fortunately no-one seemed to bother. Guess what’s for dinner? Rissoles (in German: Klöpse – very important to know!) with vegetables and mushroom sauce. In the morning we couldn’t help ourselves but drive a little further in the “wrong” direction to have a look at this popular waterfall, the Voringfoss. On the way we discover a nature centre where we think we could possibly pick up some more info on the Hardangervidda, a mountain plateau which is now a protected national park. The whole plateau is above the tree line and due to it’s year-round alpine climate, arctic animals such as the polar fox or reindeer can be found here; further south than anywhere else in Europe. Since it is very rare to see reindeer, bears, wolves or foxes, we choose to buy tickets to the centre which include a fabulous movie shown on a wide screen (actually 5 screens). Geography, flora and fauna are shown from the perspective of a helicopter flight and while watching, we sometimes get dizzy when the helicopter turns or flies through small gorges etc. The video alone is worth the entrance fee of 120 NOK (about 16€/$20). After the video we have a look at the very informative exhibition as well. This is what we see when we exit the exhibition, do you see this too??? YES! It’s a goat on top of a roof! 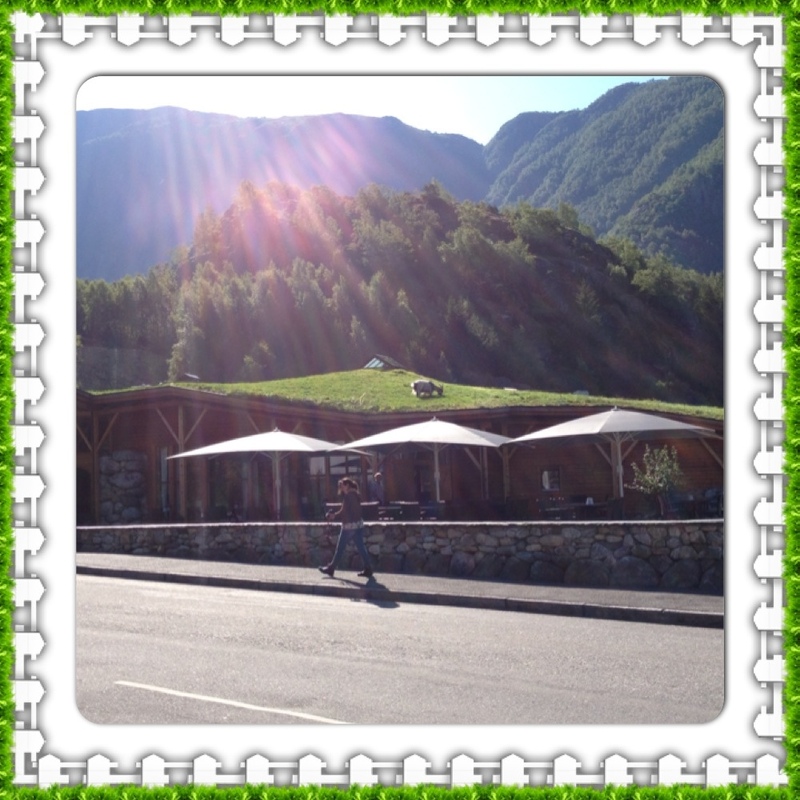 In Norway there are many houses with natural grasses growing on top of roofs. This one is being utilized as a goat’s pasture at the same time! Then we drive on to Vøringfoss from where we have an impressive view over the country side and a 182m deep gorge in which the waterfall drops into. 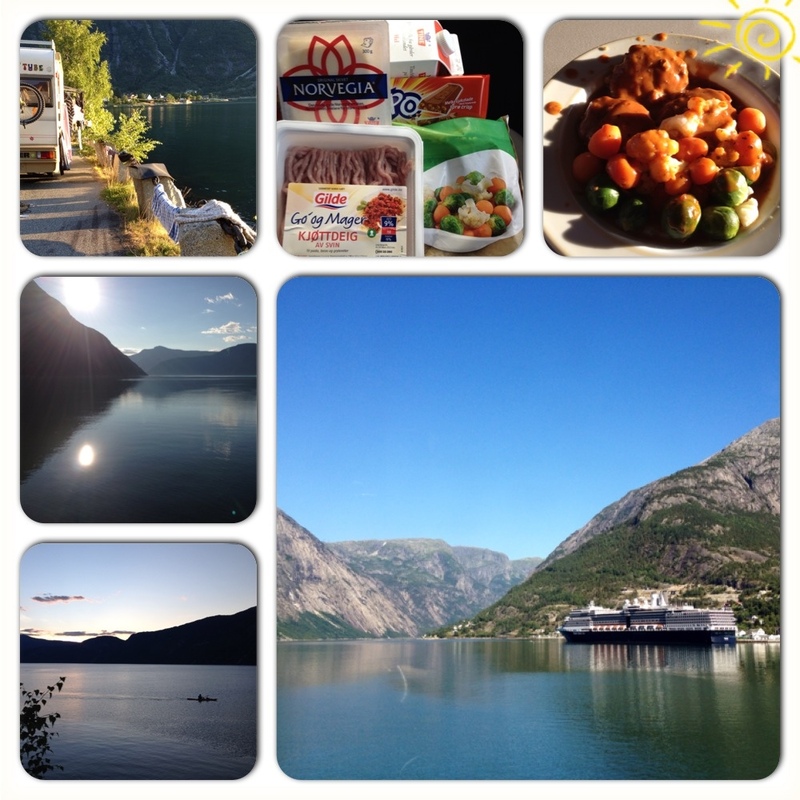 More on the Hardangerfjord and Bergen in the next post! It has been raining all night and I’m so glad we were able to heat the van. There is a new layer of snow only a couple of hundred meters above us. We quickly unplug electricity and re-connect the hot dog van. Then we make our way up the 25km road to Campo Imperatore, a hotel in which Mussolini was held captive and then freed by Hitler’s SS in 1943. After only a few minutes we get to a closed boom gate. Now the only way to Corno Grande is by foot up the steep snow-covered mountain. Logan seriously considers this option but I remind him that it’s probably quite nasty up there, not to mention the danger involved (which he doesn’t want to hear about). 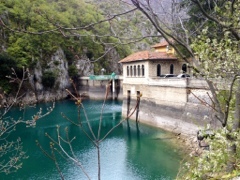 A bit disappointed we leave Fonte Cerretto and head towards another lake: Lago di Scanno. A scenic drive through the mountains and a clearing sky lift up the mood quickly. 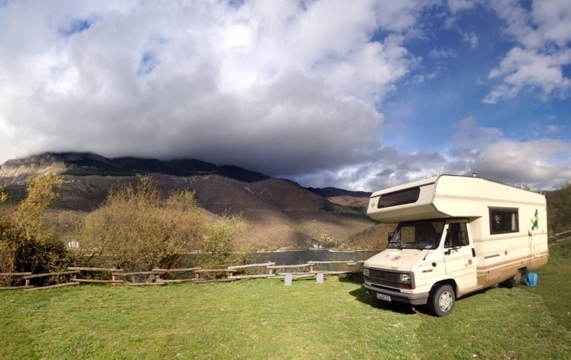 I found a campsite on the lake called “Camping i Lupi” or “wolves camp” supposed to be open year-round. Upon arrival we can’t find anyone, no receptionist nor any guests. Of course! So I call the number provided and hope for the person to speak English and surprisingly, she does! I’m being told that the “guard” is in Scanno with his family and will be at the campsite within 15 minutes, so we just wait. 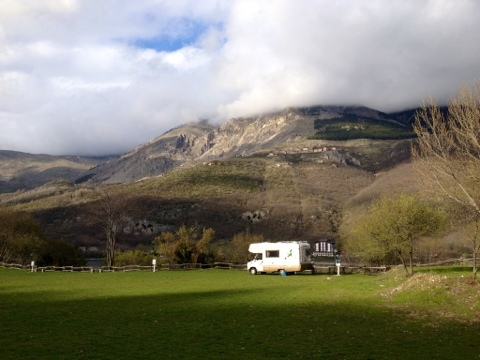 I read 8Euros for campervan per night and when we’re being told it’s 21 Euros, we are quite shocked. 21?? 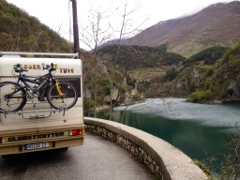 So he explains (in Italian) that it’s 8 Euros for the Campervan and 6,50 Euros per person per night. Aha! Oh well, we need a place to stay and I was already looking forward to a warm shower and heating. 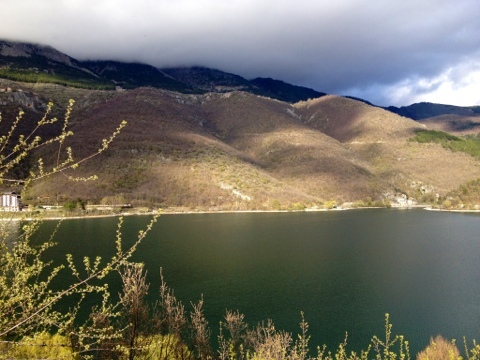 We pick a place right on the edge of the plateau with a nice view over the lake and over to a hilltop village. I then grab my towel and toiletry bag and run up to the showers. I can hardly wait to jump under the warm water, as pretty much all my showers so far have been ice cold. I turn on the tap and wait for the water to get warmer. And I wait. And wait… and wait… ! It doesn’t get warm. It’s not ice cold but it’s also nowhere near warm!!! Did we just pay 21 Euros for this? I’m so angry. I hurry to get clean quickly and jump out, looking forward to blow-drying my hair, as my head is cold now. Electricity in the bathrooms doesn’t work either. You just got to be kidding!!! I run down to the van and blow dry myself warm for ages. Logan wants to go for a bike ride around the lake but since I just had my shower and I know he likes to ride really fast, I think it’s best to let him ride by himself. Hang on?! I have been going on about Italians and their insane driving and now Logan wants me to jump into a car with strangers to go 4WD-ing? No no no no! I’m feeling very uncomfortable with this but Logan says, they are coming to pick us up tomorrow at 11am. Logan has little understanding for my worries and celebrates his accomplishment outside by himself.